“Ääniaaltoja” is a stimulating synth pop album, over 33 minutes of vocoder songs in Finnish – sounds like a dream, doesn’t it? Charmingly low-key compositions where both the lyrics – nothing but verbal aerodynamics for native speakers – and the melodies provide pure vitamins for surviving the darkest days of winter. 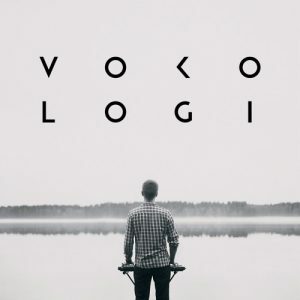 After in 2014 Radio Helsinki awarded the Week’s Demo title to “Haluan Moduloida Kanssasi” (“I Want To Modulate With You”), it collected a number of excited plays on Soundcloud, to become the LP’s lovely and catchy opener with anthem qualities. Of other tracks on the A-side, “Yksinäinen Vokodeer” expresses with beatiful keyboard sequences melancholic feelings of a lonesome vocoder and “Petri Potentiometri” is a modestly paced machine ballad. On the flip, synth line of “Ääniaaltoja” sounds so late seventies or Roland Sebastian Faber, while the vocal part recalls The Mitgang Audio’s tunes. In “Tänä Yönä Tanssitaan”, young lovers are dancing cheek-to-cheek in lakeside serenity and tech-savvy millennials would do their exercise with “Digitaaliset Lapset”. Behind the Vokologi project is Heikki Vastiala, an audio engineer from the city of Rauma who has made good use of his skills in music production under aliases such as Hexe or Syvärauma. His own label Galaksilevyt debuted in 2013 with an EP from Syntetisaattoriorkesteri Galaksi and in 2014 La Beauté Du Négatif released a TM404-reminiscent ambient EP by Toisvesi – in both projects Vastiala teamed up with Peik Erhola.